This article was recently published in Kari’s food and travel column “When Hunger Strikes” in the Khaleej Times “WKND” maagazine in Dubai. The other day I witnessed something that made my heart flutter. My 3 year old toddler reached up on the countertop, snatched one of two Roma tomatoes I had just washed to make a salad and popped it right in his mouth. Yes. That made my heart flutter. When he was a tiny tot, I planted organic cherry tomatoes in pots on our balcony and then in our concrete block yard in Ras Al Khaimah (just outside the state of Dubai) so that he could walk up to the plants and pick and eat them. Since then, his love for tomatoes has been seasonal but the important thing is that the seeds were planted early on. Speaking of seasons, the end of summer signals the beginning of the local tomato season in the UAE and just thinking about fresh, sweet, succulent, organic, local tomatoes makes me go crazy with ideas. 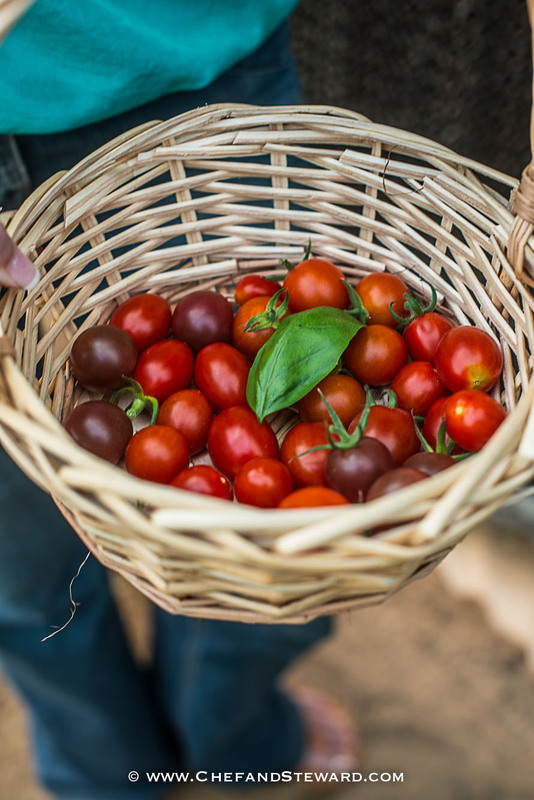 And just so you know, I photographed all of these tempting, mouth-watering tomato images right here in Dubai… yes, you can absolutely be successful at growing tomatoes in the desert. This is a tomato harvest in the desert at the Greenheart Organic Farm. 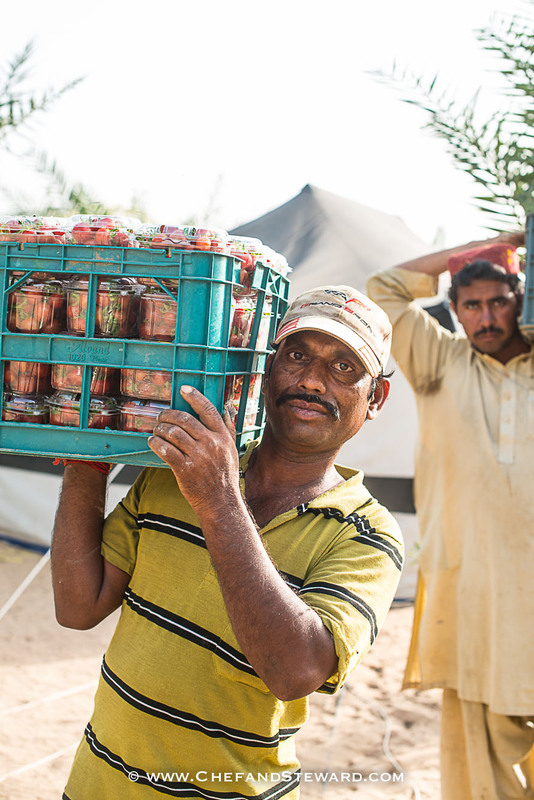 I pride myself on my work documenting organic farming in Dubai and the UAE and overjoyed at how far the industry has come over the years since the very first organic store selling local produce (Naswa) popped up. I am the kind of lady who plans an entire month of recipes around these gems when vacationing in the Balkans in the summer months where local tomatoes were the pride and joy of so many backyard farmers- and ‘ripefully’ so. They are truly the star of the season for me- even more than summer strawberries. I suppose because tomatoes are in everything and are so widely used, when they are in season and at their prime, they really and truly shine like the starry orbs they are. If you have ever bit into a whole sour tomato as a child, it is enough to turn you off of them forever. Children are naturally drawn to the intense colours of tomatoes and if they are not in season, they can be really sour or off in taste. If they are allowed to pick them in season right off a vine, it changes everything. Even for us as adults. 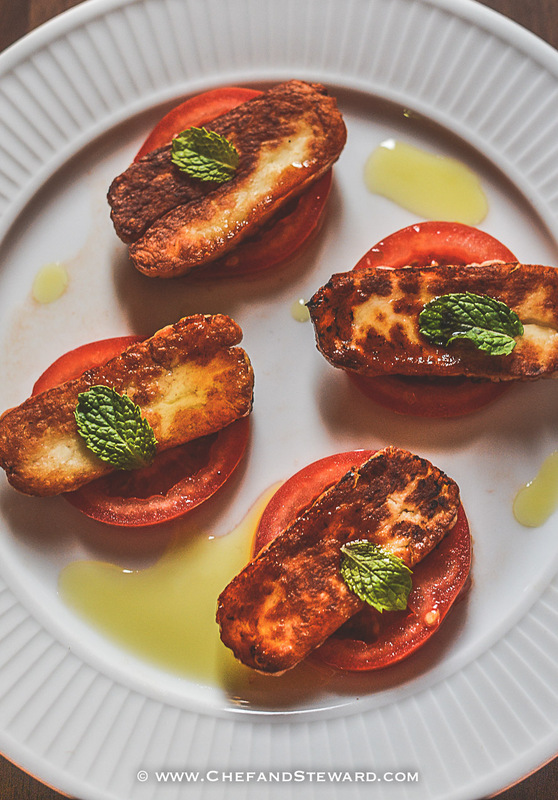 Here are some of my favourite ways to have the best in-season tomatoes… and both ways are great for a party or as an everyday salad. 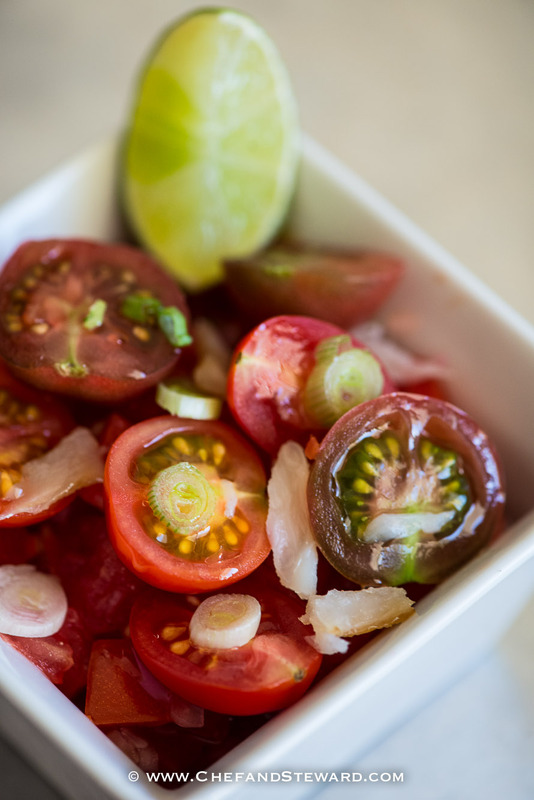 CHEF’S NOTE: While tomatoes are coming out of season in the US and Europe, they are now in season in the Arabian Gulf and northern Africa as the climates are now cooling down. 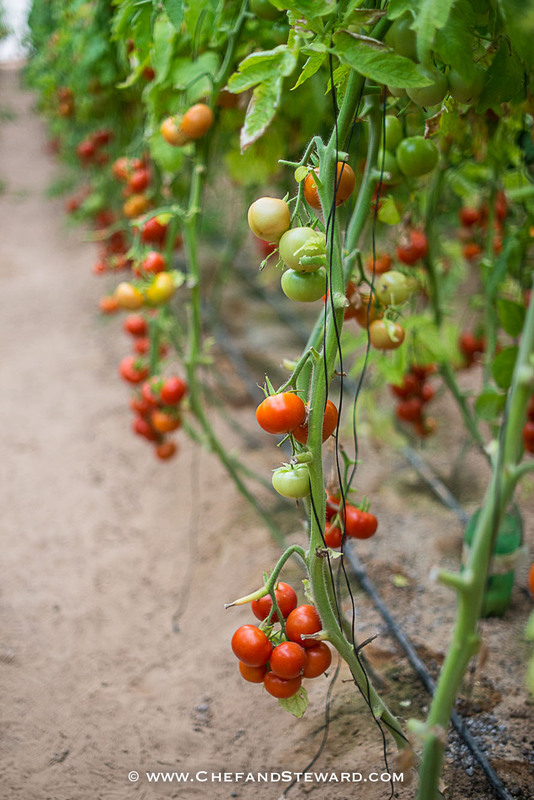 Tomatoes pretty much grow year-round in places with more moderate climates and are shipped to colder places during their winters and in desert climates during their intense summers. 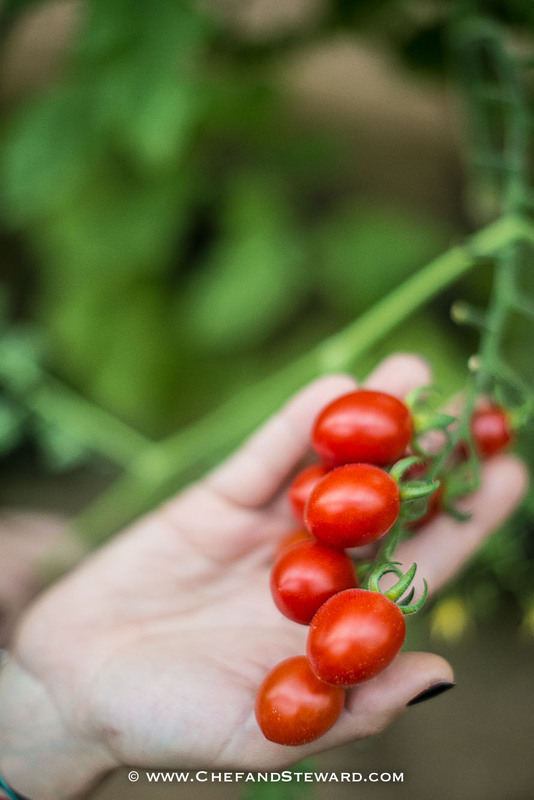 Even though they may be available year round in supermarkets all over the world, tomatoes shine through when they are in season- like all produce. This is why Italians harvest their excess and preserve them by canning (canned/bottled/tetra pack tomatoes, sauces and paste) and drying them out (sun dried tomatoes) so that they can preserve the best quality tomatoes for later use.